While Philadelphia is just joining the ranks of World Heritage Cities, Edinburgh, Scotland, could be on its way out. 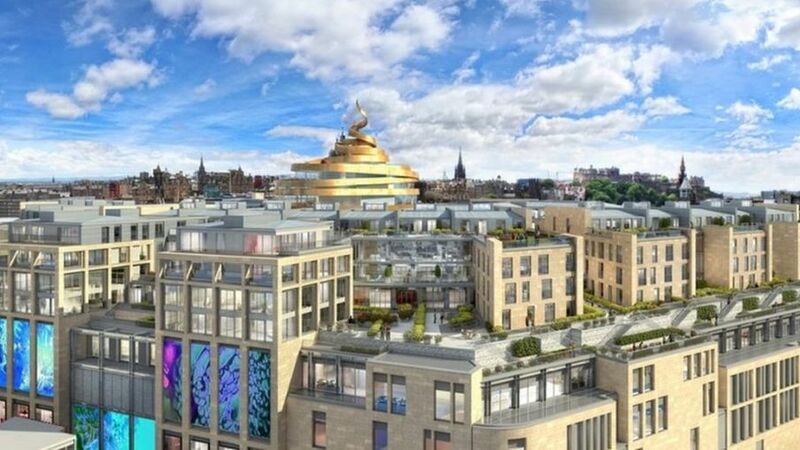 Edinburgh’s yellow-brown, sandstone buildings, elegant extensions to the capital’s landscape, are set to receive new neighbors from developers. The approved plans have sent UNESCO to reassess Edinburgh’s World Heritage Site Listing. In 1995, UNESCO granted Edinburgh World Heritage status for its cohesive old and new towns. Now, as developers move in, the status is at risk. The St. James, known by developers as the “Ribbon Hotel” and by citizens as “The Turd,” has been approved for construction within the capital’s historic skyline from Calton Hill and is expected to be completed in 2020. The previous building, a 1960s shopping mall, demolished the site’s original 18th century square. Jestico + Whiles is the firm behind the ribbon design, and TIAA Henderson, their client. 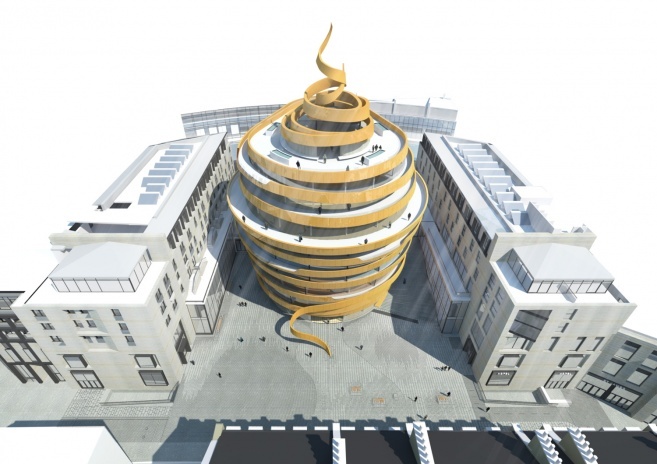 Developers, marketing the ribbon structure as an architectural icon, believe the building is necessary in order to attract luxury hotels and brands to the city. 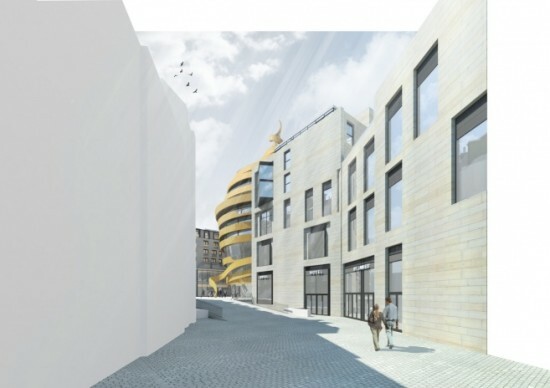 This $1.27 billion project is expected to add $38 million to Edinburgh’s economy each year. Although the ribbon is set to house Abercrombie & Fitch, 7 for All Mankind, and Ted Baker and has received interest from chains like W and Four Seasons, Edinburgh’s magazine The List named it one of Scotland’s biggest, recent flops. Bath, a town in England’s southwest countryside, received threats to its status both in 2009 and last week, however remains listed. On the contrary, in 2009, Dresden lost its world heritage status after building a bridge a mile outside the city. 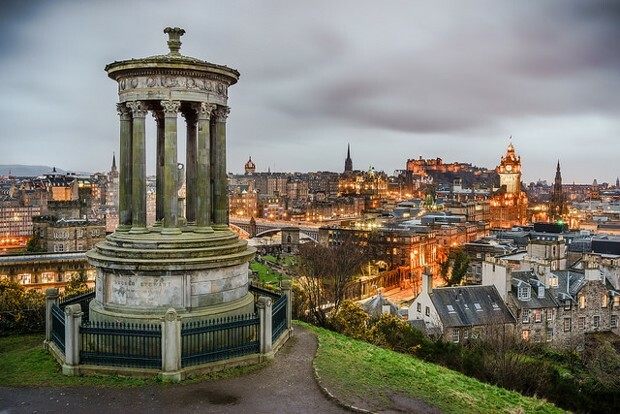 Because UNESCO’s decision over Edinburgh cannot be predicted, it is clear the process of identifying world heritage and defending it from intrusion is difficult, especially when it comes to one of the most beautiful urban views, Calton Hill.